Despite the ardent denial of Samsung executives, potential evidence of a beefed-up Samsung Galaxy S5 appeared today in the form of a product listing on Olleh TV, a Korea-based telecom. 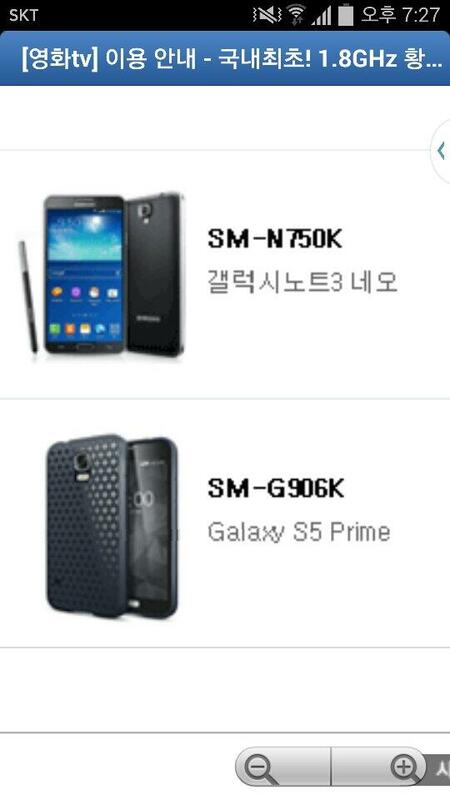 The Galaxy S5 Prime featured the model number SM-G906K, which is consistent with Samsung’s naming schema (T-Mobile Galaxy S5 is SM-G900T, for example). The listing was fairly bare – it didn’t include specifications, and the picture handset was concealed by a cover. Unfortunately, that means there is no telling whether the Galaxy S5 Prime features the long-rumored metal backplate and QHD display. It seems we will have to wait until the Galaxy S5 Prime nears release before we can glean that kind of information, but as always, there is no guarantee the smartphone will launch stateside. Specifications are a huge selling point in South Korea, so companies often release upgraded versions of US counterparts there in an attempt to continually boost sales. Still, here’s hoping Samsung will make the Galaxy S5 Prime official soon.